Writing a wine blog is often a lonely thing to do and it is rare indeed that I get any feedback, so I find it only too easy to imagine that each of my carefully crafted blog pieces receives a brief glance rather than the detailed read I think it deserves. So whenever I do receive any encouragement I tend to get somewhat over excited and I hope you will forgive me for sharing this piece of news with you, but it really is wonderful. I have been shortlisted for a 2012 Born Digital Wine Award in the Best Editorial Wine Writing category. These awards are for wine writing and journalism that originates on-line. Digital wine writing is often considered the poor relation, so I am thrilled that they exist and heartened by the high quality of writing of all my fellow nominees. The results are announced on 23rd May 2012, but I really do feel that I have won already just by being on the shortlist – a little recognition is a very satisfying thing. The piece that earned me this shortlist place is called Minerality in wine – flight of fantasy, fact or terroir? It deals with the thorny subject of minerality in wine and you can read or re-read it here. This link will take you to all the other shortlisted entrants too – I wish them all well and look forward to celebrating our joint good fortune on 23rd May. In my younger days I was an actor and so I like applause. 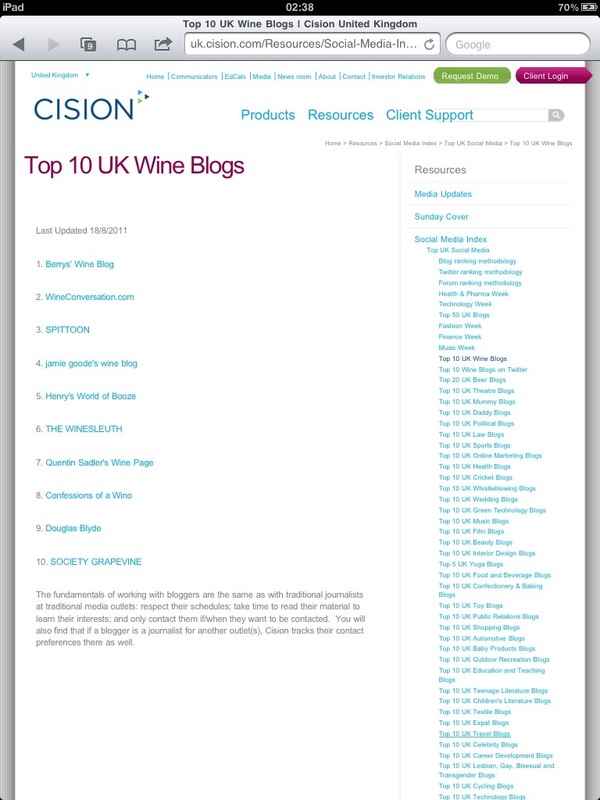 I was extremely gratified therefore to discover that Quentin Sadler’s Wine Page was appreciated enough to be ranked number 7 in the Top 10 UK Wine Blogs by Cision. I have put a picture of the list below and the page can be found here. Thank you for your continued support, it means a lot that so many of you find my musings interesting. I am currently in Portugal, experiencing a wide range of fabulous wines and will report back on them and other topics in a week or so. 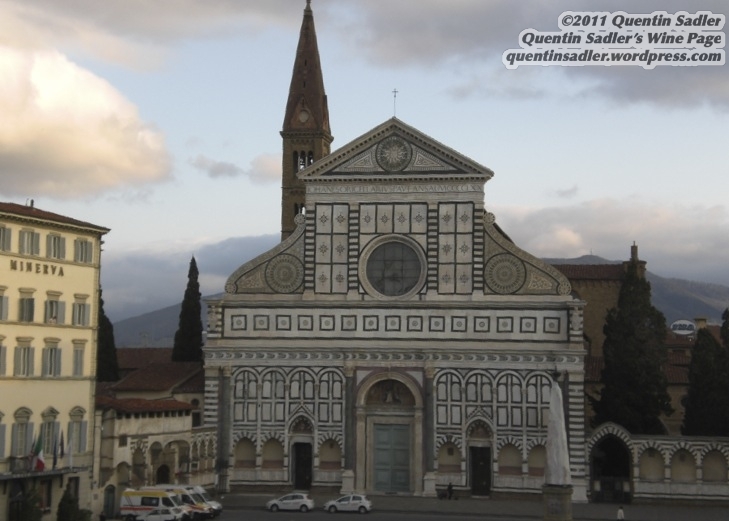 The view from my hotel room in Florence - lovely, but no wifi! I hope you can forgive me for writing a piece that is about the medium of blogging rather than my subject – wine, food and travel. I do not really regard my Wine Page as a blog in the traditional sense as it is not a web diary, I hope my articles are more considered than that. However, I call it my blog by way of a shorthand explanation as to what it is. Therefore I am a wine blogger and that is sometimes a very frustrating thing to be.